Thomas the Tank Engine and his friend Percy are startled--and scared--to see a dinosaur in the forest! 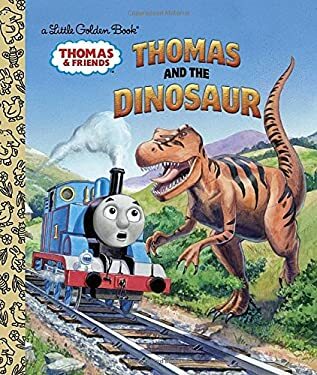 Train-l and dinosaur-obsessed boys ages 3 to 7 will get a double thrill from this Thomas & Friends Little Golden Book. New (143 available) BRAND NEW. Over 1.5 million happy customers. 100% money-back guarantee. Make your purchase count: support Better World Books' worldwide literacy partners.